Kumar Mangalam Birla-led diversified business conglomerate Aditya Birla Group and South Africa's third largest insurer Momentum Group, a subsidiary of Momentum Holdings are in talks to form a standalone health insurance joint venture in India. “We are in discussions with Momentum Group)," Chief Executive for financial services at the Aditya Birla Group, Ajay Srinivasan confirmed the development. As per the sources, the AV Birla Group would have 74 per cent stake while Momentum will own the remaining 26 per cent, the maximum as per current FDI (foreign direct investment) ceiling. AV Birla Group is present in the life insurance segment through Birla Sun Life Insurance,a joint venture with Canada's Sun Life. 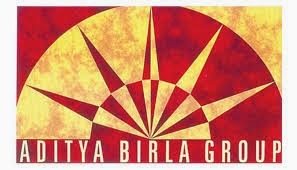 Birla Sun Life sells a range of life insurance products, including unit-linked and traditional products. Health insurance sector in India is growing very fast. The health insurance business in India accounts to Rs 12,606-crore, about a quarter of the total non-life insurance business. Penetration of the insurance industry has grown at a steady pace since the market was opened for private players in year 2000.